It’s National Children’s Dental Health Month, so we have some recipes to try to work into your kids’ diets that are good for their teeth. Cheese has been found to raise the PH in your mouth, which lowers risk of tooth decay. For your adventurous eaters, try this healthy Cheesy Turkey Stuffed Peppers. Yogurt’s probiotics are good for your gums. Try these 7 Healthy Fro-Yo Recipes. Leafy greens are high in calcium and vitamins for your teeth. Sneak them in with 20 Healthy Green Smoothie Recipes. Apples help you produce saliva that rinses out your mouth and is good for your gums. Try Apple Pie in a Jar for a fun new way to get your kids to eat their apple a day. Carrots can help lower your risk of cavities and are a great source of fiber and vitamin A. If your kids love pasta, this Raw Carrot Pasta with Peanut Sauce is a great way to get their veggies. Celery has great vitamins that are good for gums, and it acts like a toothbrush scraping out food and bacteria. 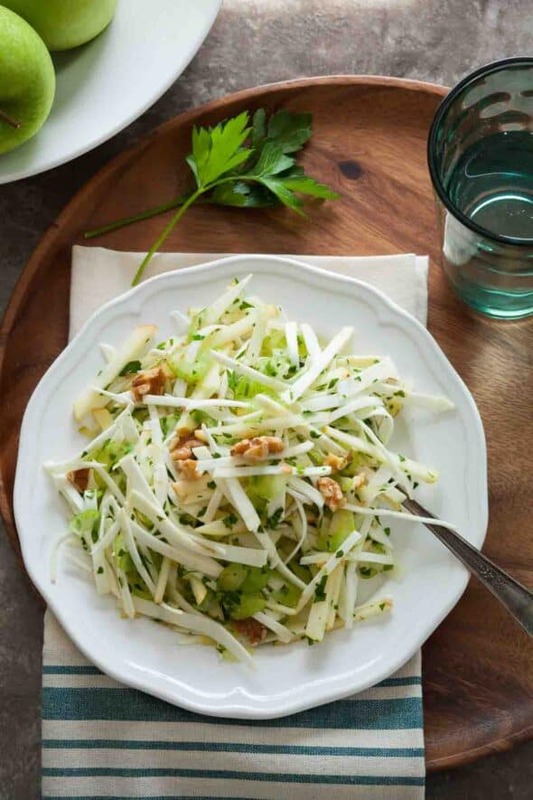 The apples in this Celery Root and Apple Salad can help convince your kids to get their veggies in. Almonds are a great source of calcium and protein while being low in sugar. 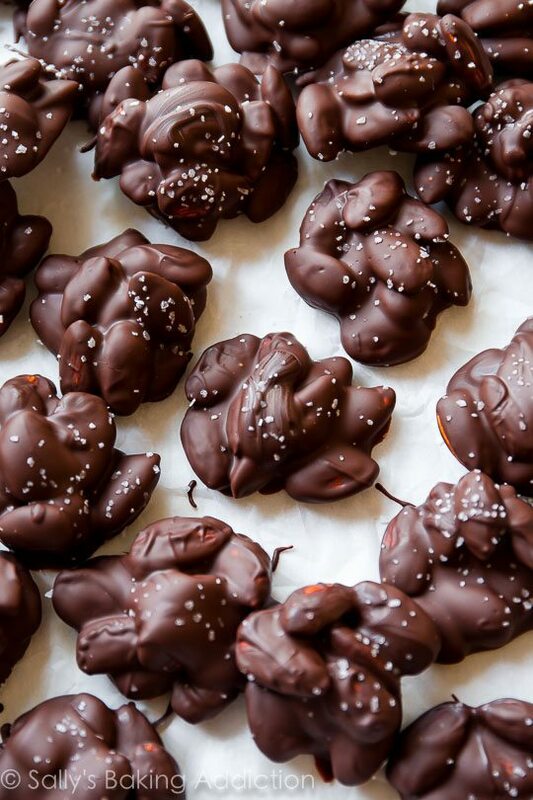 These Sea Salt Dark Chocolate Almond Clusters taste like candy and are good for your teeth.